Less than 5% of candidates get consulting offers and only the best prepared succeed. 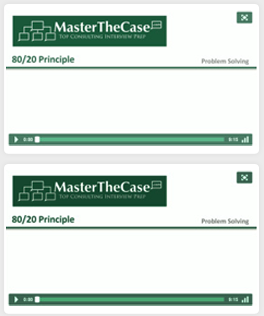 We offer comprehensive Case Interview and Fit preparation via premium HD video tutorials. You will learn key business concepts and efficient case frameworks, with detailed demonstration of our proven best-practice case interview techniques.